Image courtesy of multimedia talent and former teen bike store owner, Ryon Edwards. I know you’ve been waiting. Yearning. 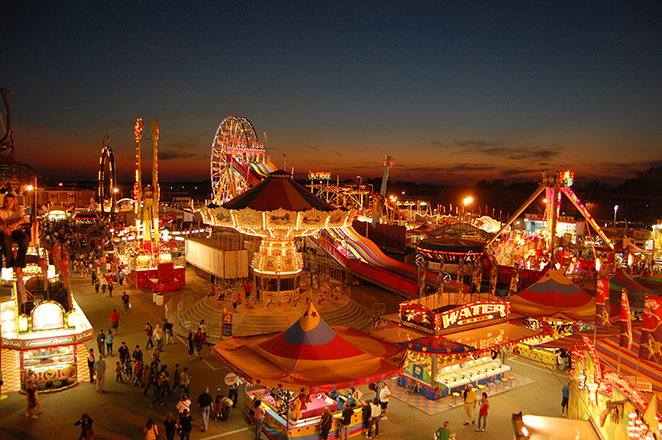 Patiently crafting your 5-7-5 syllable tributes to everything that’s right about the South Carolina State Fair. Carnies, corn dogs and cotton candy – let ‘em fly, people. Need a little inspiration? Here are the 2012 haikus and 2011 haikus. Meet you at the rocket! Do you like my new tie? I just bought it yesterday. Next stop: corn dog stand. Lots of love for the corn dog this year. Poor turkey leg. I think the official verb for the fair this year will be pronto-puppin’! I can already smell the french fried mushrooms. Awww. I will meet you at the rocket. palm funk Fiske Fry time? vehicles Ho! set ‘em up. I am screaming with delight, Scott! Oh yes. The only thing better than a big donut is a bag of little tiny greasy ones!